Have a look at this dataset. The"a" and "b" are used to make possible differentiate when the same variable was measured. In this case X1a and X1b access the same variable, but "a" was (suppose..) in the last year and "b" was this year. I just want to correlate "a" and "b" and plot it. Simple like that and I really imagine the following code can be improved. 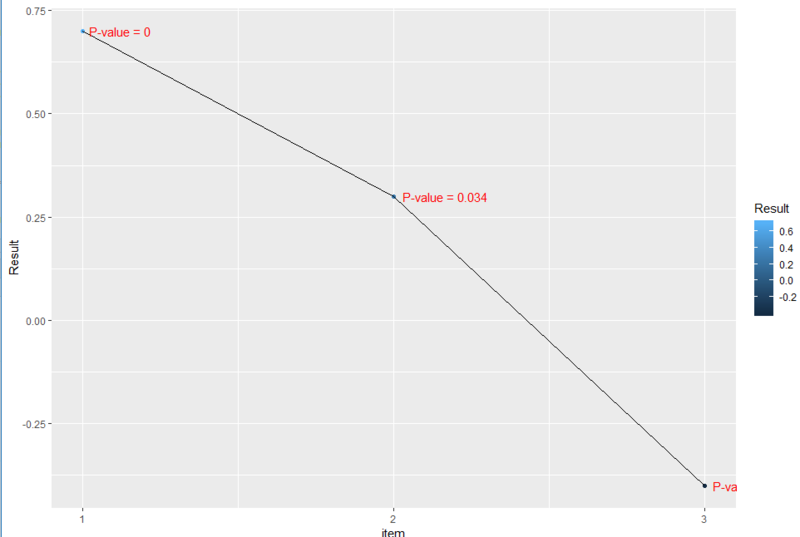 The final plot will be this one: The data is fake, but it's virtually equal as the original dataset I'm working on. What I don't like too much about this approach is that it only uses 3 of the 36 correlations that were computed by rcorr. 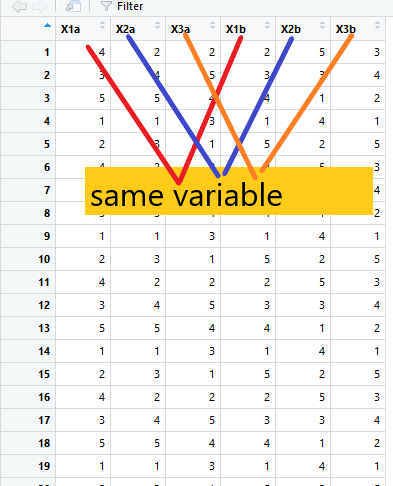 In this second approach, I start by splitting the data into two tables (one for a and one for b) so as to compute only 3 correlations via Map. I also switched from rcorr to the base cor.test which has (IMO) a more intuitive behavior: when given two vectors as input, it computes one correlation, not four. Not the answer you're looking for? Browse other questions tagged statistics r data-visualization or ask your own question.